I think “Shot Plan” can be better described as an individual plan developed in partnership with a personal coach in order to deliver a desired performance with a high level of confidence. Competitions Are A Learning Process. 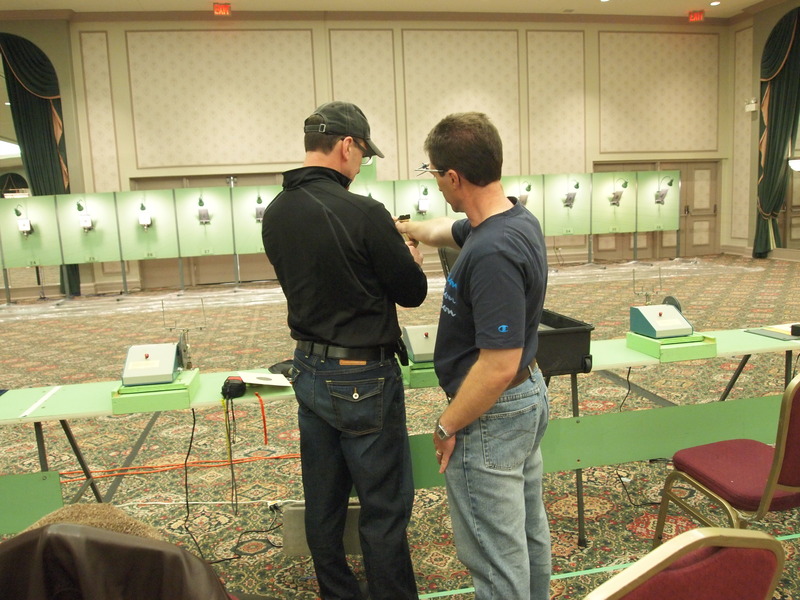 I would like to share some other thoughts from the 30th Canadian Airgun Grand Prix. Competition is definitely a very important stepping stone in the learning process of developing skills and knowledge for any athlete, not only by analyzing their own performance, but what is most important by learning from the performance of other top athletes. How many of you checked prior to the mach in your schedule the performance of top of international ranked athletes in your discipline (pistol or rifle)? Yes, we have many people observing finals and many failed to check the technique of those top eight finalists before this moment (actual two days match). I see many who are interested to know and learn about the mental game of this sport. Yes, it is a crucial part of any successful development. Patrick Haynes made a very clear statement about it in his presentation and he also mentioned a shot plan, which from my point of view for many less experienced shooters is still a very weak link to progress in their development. Many inexperienced shooters are still looking for magic tips instead of the development of a solid shot plan execution. It is sometimes not a very exciting process but this is what makes the difference in performance of champions and others who cannot deliver a solid international level performance. In conclusion, if you are looking to progress in this sport, please take notes for yourself in order to check the performance of elite athletes, even observation will tell you much. I suggest someone who is interested in the development of a higher competitive performance to mark in their calendar the Canadian Airgun Grand Prix 2013. I recommended my students to sign up in two complimentary events (Clinic – Shooting Finals & Clinic – Overcoming Match Nerves) which are presented by Match Director, Patrick Haynes. All participants received very valuable information and advice from both events with top level international shooters. Avianna Chao shared her experience and brought interesting points from real, live international experience. 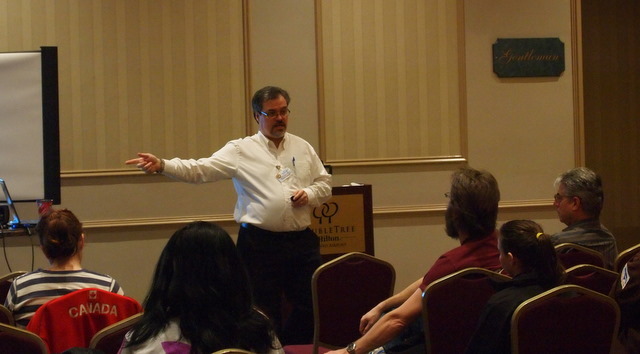 The second topic of overcoming match nerve contained interesting and practical information which can be a valuable source for any inspired Olympic style target shooting athlete. I just arrived from the Canadian Airgun Grand Prix and would like to share a few thoughts of my observations. I found it very interesting what I saw on Friday during practice before the CAGP. 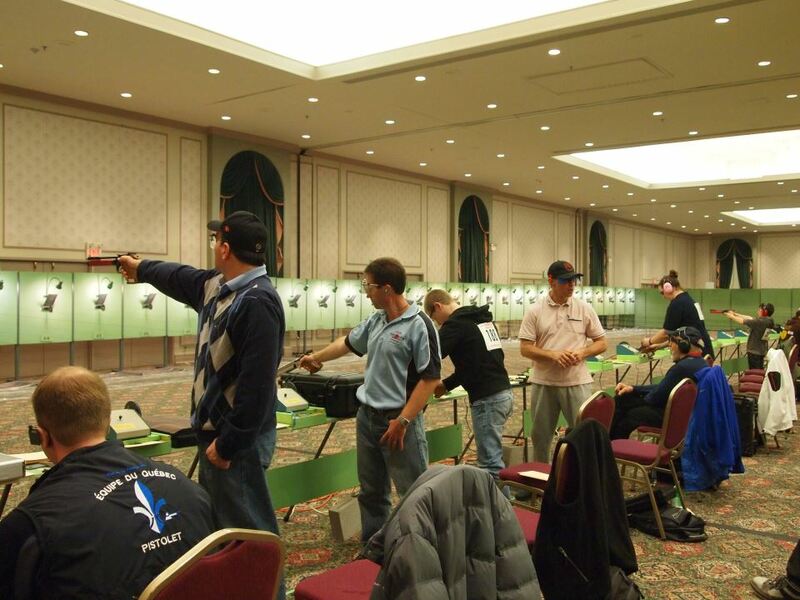 Probably only one shooter used a blank target during the practice session, who eventually became the top shooter on the list over a two day competition with the highest score. My second observation was when I saw another top shooter who spent about fifteen to twenty minutes writing in their shooting diary while sitting in the same chair after their last shot. My question is how many less experienced athletes who came to this competition with the desire to make the national team or perform the best possible score do not really pay attention at the small details which top shooters cannot ignore. I’m in Toronto today. I spent over four hours working with my student. We are both happy with the achieved progress in terms of creating a ground of future development. Today, I will monitor his competitive performance and I hope I will be able to provide valuable information also from a strategy point of view. My best wishes to all. I hope everyone enjoys their time in Toronto. Are you redy to be the first in ISSF (Olympic Style Target Shooting)? “His soaring media presence has made him a star in both the US and Asia. Lin is the first American basketball player of Taiwanese descent to play in the NBA. Automatic (subconcious) trigger squeeze may occur in the desired area (10 ring) if all fundamentals are applied correctly, not just sight alignment. If the individual will concentrate on automatic (subconcious) trigger squeeze release, where there is no strong foundation, knowledge and skills in other areas (fundamentals); he will receive a similar result (score wise). We will notice only one difference in his “performance.” He will start talking sophisticated and use words such as “subconcious” more often. There will be no noticeable impact in his actual score performance. Books are good for coaches. If you have any aspirations to achieve a certain level of performance, you have to look for guided education. What is the idea behind specific exercises for trigger squeeze? I like this question better than “subconcious trigger squeeze” development. First of all, what is the idea behind specific exercises for trigger squeeze? What is the point? What would you like to develop during those exercises? Are there any exercises for this matter? You most likely will not deliver the value for this subject. I will explain why. Two of the most important parts in fundamentals are the execution of trigger squeeze and sight alignment. Can we hold two thoughts during one moment in our head? Probably not. One part of those two should take place. Trigger squeeze is the final stage in our development. If other parts of the fundamentals are not executed in the correct order, I am 99% sure you will never see trigger squeeze development on the subconcious level. What do I do in my class exactly? If someone is interested to raise their performance to a higher level, I review all the fundamentals by adjusting them to the peak of performance. Afterwards, trigger squeeze becomes a logical and effortless culmination at a subconcious level (without any special training). From my point of view, special exercises on this subject will not bring any value to someone who is asking for help. Omitting value of other fundamentals will stop you from development of automatic ( subcoucious ) trigger squeeze development. Someone got the point, someone is not. What does PRO level actually mean? This is level of performance is where the individual must perform at the level of 570 AP and over with confidence and certainty. I did it for 17 years and can teach motivated individual to do the same. Your motivation is the KEY!